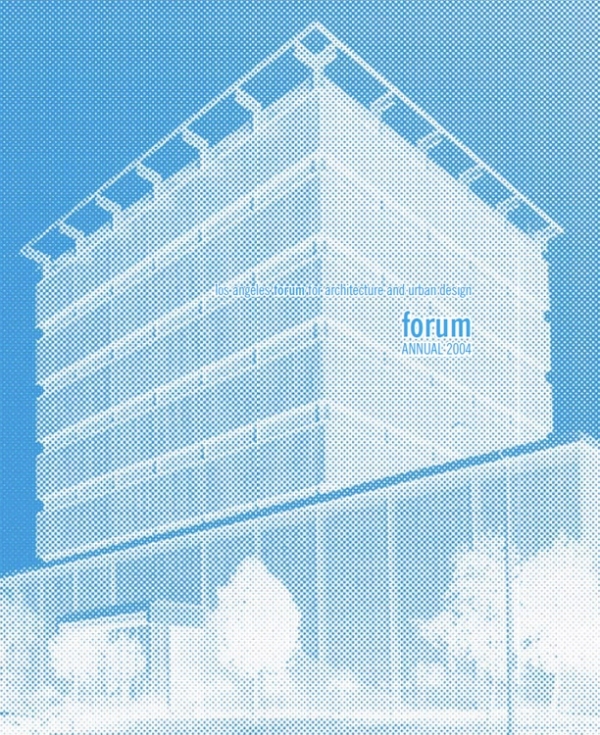 The inaugural issue of Forum Annual is now available. It marks the Los Angeles Forum for Architecture and Urban Design’s first print periodical after a five-year absence. Forum Annual is our reaction to a void we perceive in the city. For if it is hard to imagine any contemporary city as closely observed as Los Angeles, it is remarkable that we lack a regular venue for critical writing on architecture and urbanism. Forum Annual gathers the most pertinent material from recent Forum Issues and online features to document our activities of the year and provide an arena for debating the most pressing issues concerning architecture, urban design and art in Los Angeles and beyond. Annual 2004 – dedicated to Rose Mendez – is edited by Kazys Varnelis and includes essays on The Grove, Downtown, Grand Avenue, Dead Malls, Small Skyscraper, the Standard, and Dirty Realism among other topics by Helene Furjan, Robert S. Harris, Alan Loomis, Tom Marble, Steve Rowell, Paulette M. Singely, Kazys Varnelis and Peter Zellner.